Arizona State University's Global Freshman Academy (GFA), an online program that allows students to try out first-year college courses for free and then opt to pay a fee for ASU credit, is expanding its use of McGraw-Hill Education's ALEKS adaptive software in its math courses. GFA first deployed ALEKS in a College Algebra & Problem Solving course in April 2016, where the software has assessed more than 1,450,000 math skills for 30,000-plus students and helped the students learn and master more than 382,000 new skills, according to a press release. Now, GFA is rolling out the adaptive tool in its Precalculus course. 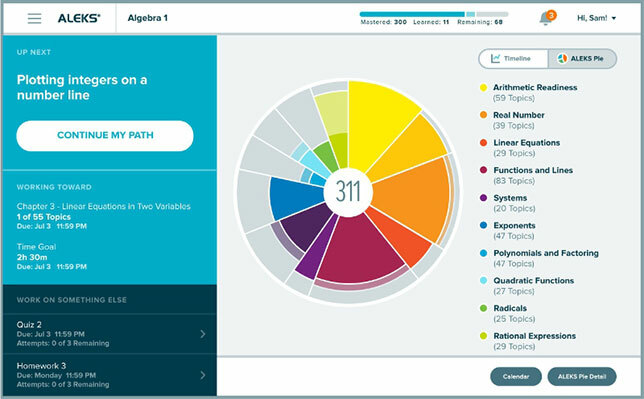 "Working with ALEKS in GFA's College Algebra course has been an extremely positive and successful experience for our students, and we look forward to implementing the same technology in the new pre-calculus course," said Adrian Sannier, chief academic technology officer for EdPlus at Arizona State University, in a statement. "The ALEKS technology allows us to meet students where they are academically through the use of adaptive learning. This gives us a better understanding of the student's skill level and which areas they need more help in order to be successful."